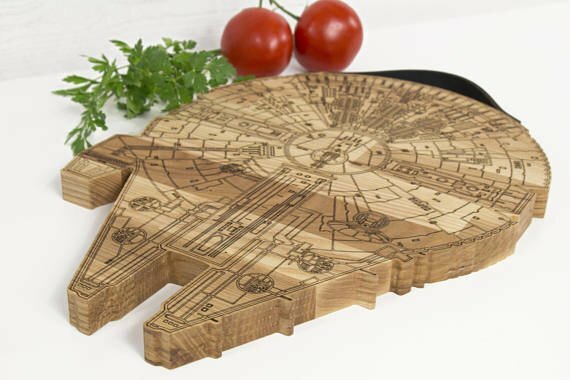 Millennium Falcon Cutting Board - What's Goin' On In The Kitchen? Use the force in your kitchen today with this Millennium Falcon Cutting Board. This fun chopping board is made from solid wood with a natural leather handle, making it both fun and durable. Unwind after a long day at work by chopping up your favorite ingredients with this unique and practical chopping board today.If you love this, check out some of the other cool stuff for cooking that I’ve found.